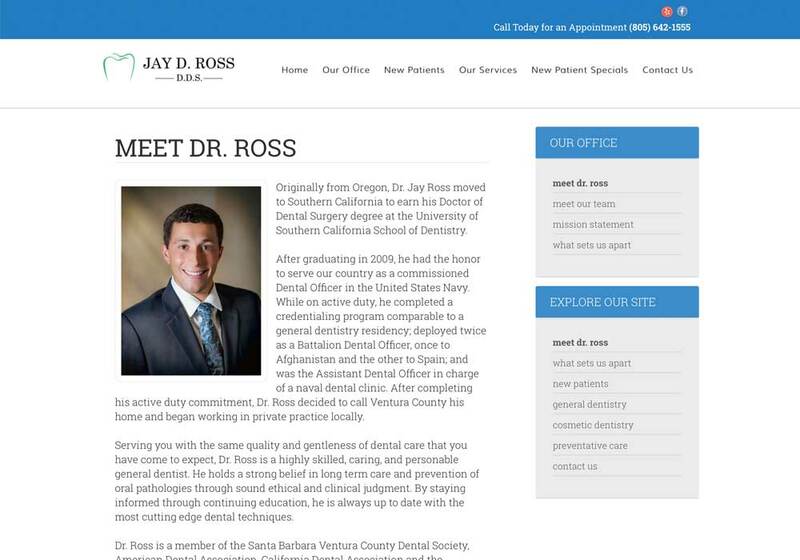 Dr. Ross hired us to help his new dental practice in Ventura, CA get a more modern and stronger internet presence. 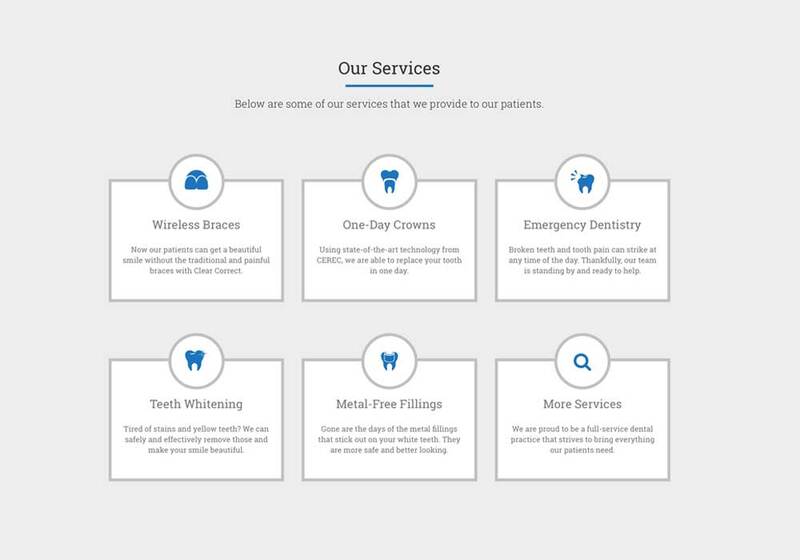 We started with a complete overhaul for his website design, and now have moved to improving his visibility with search engine optimization and running a successful Google Adwords campaign for his practice. 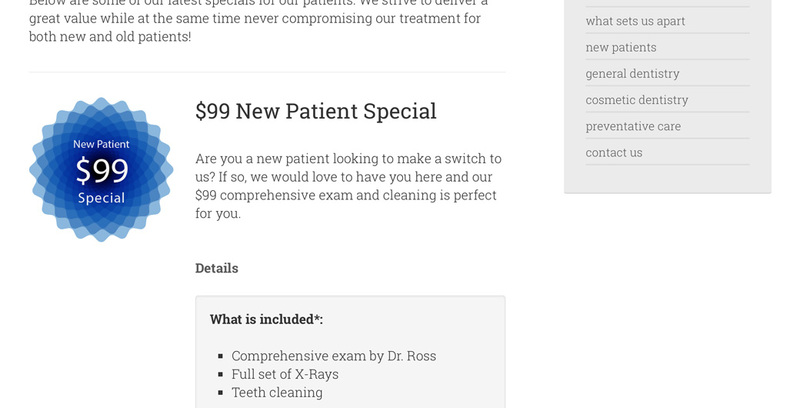 Dr. Ross had an outdated website. 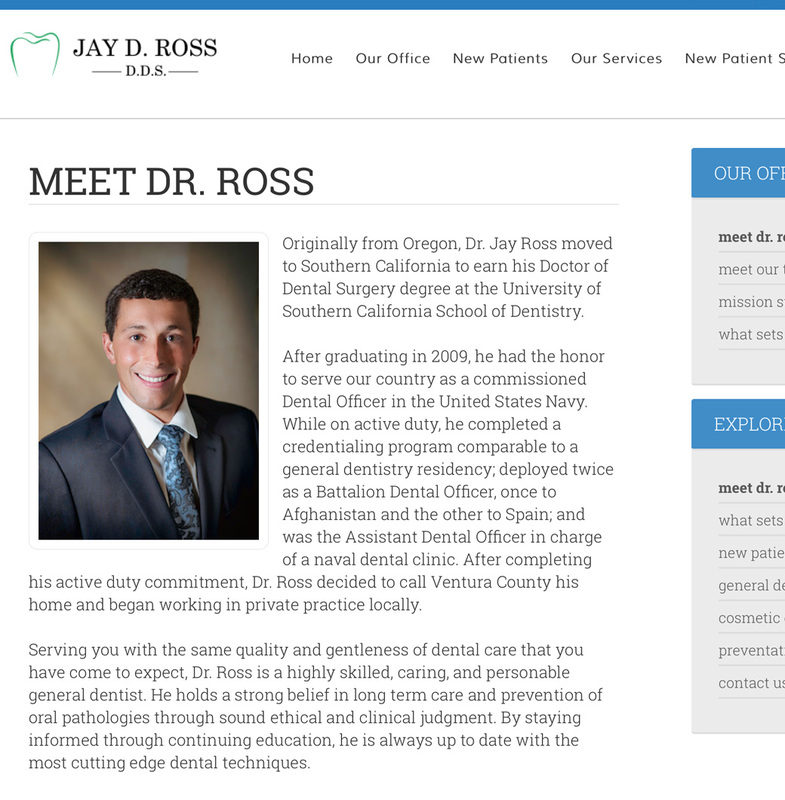 He came to us for a fresh look that invited potential patients to learn about him and his practice through his website. His main goal is for patients to contact him through the contact forms and phone. 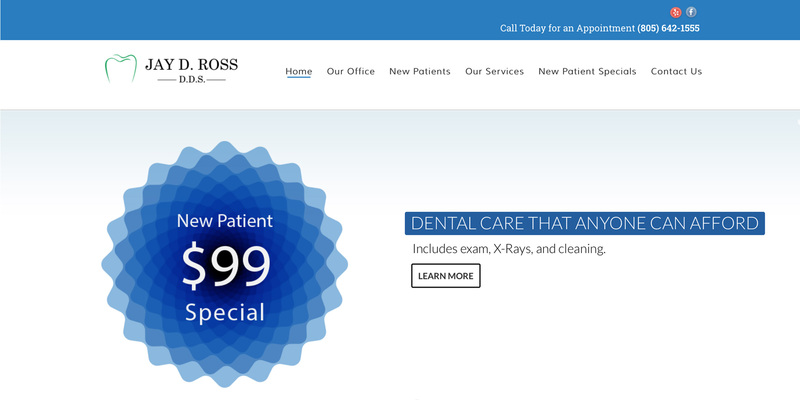 With a new website design in hand, Dr. Ross also wanted to have a new logo designed as he was rebranding his dental practice. He wanted to keep his colors similar to what he already had but rebrand it to himself instead of the old practice name. 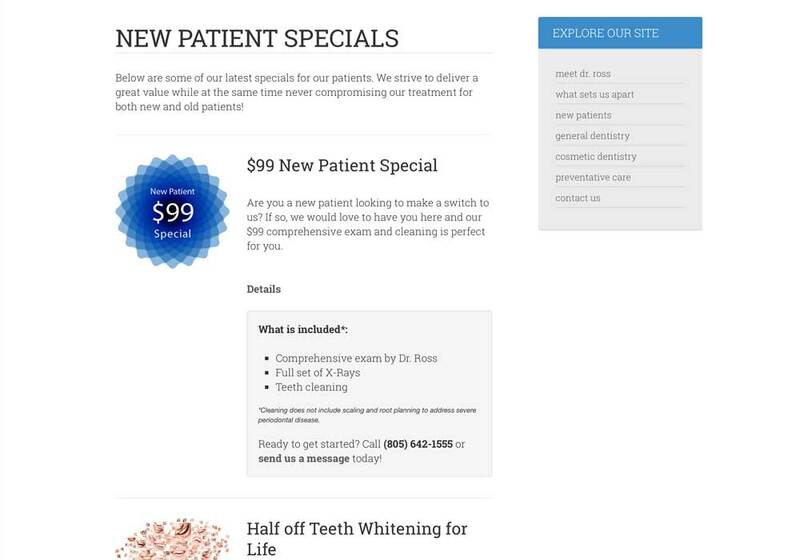 Dr. Ross wanted to have a better way to highlight his specials that are always changing. 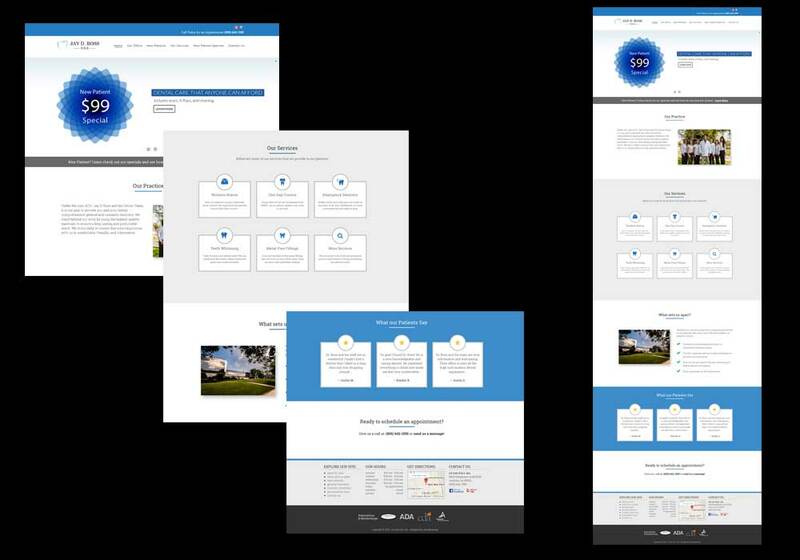 We created an animated slider that would highlight the different offers and give his practice a unified look while also promoting his latest specials.